A couple weeks ago I read this article on RunnersWorld.com, and soon after it was quickly being shared by various members of November Project. 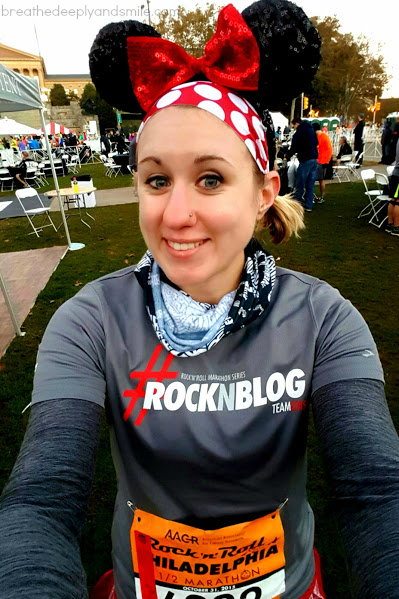 Kim Stemple is a runner and member of November Project-DC. After reading the article for the first (and second) time I had tears in my eyes. There had been an earlier article on Zelle about Kim that I found through this article as well. She created the organization We Finish Together in 2012 which donates finishers medals sent in by runners with handwritten personalized notes to people all across the country who need recognition such as sick children, veterans, and police officers. 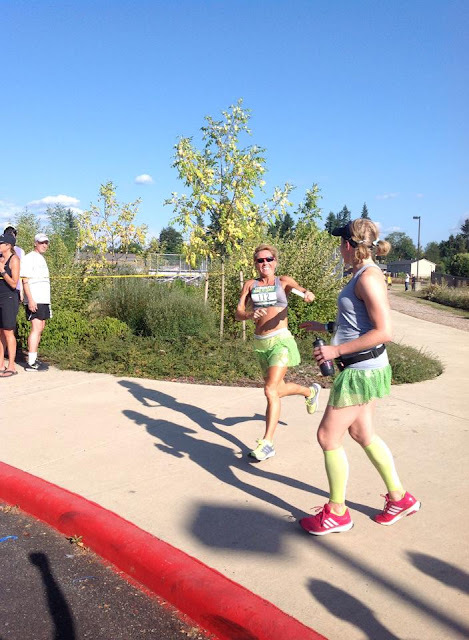 Kim is a competitive runner, special education teacher, and cross-country coach. In 2009 she got sick and doctors diagnosed her with a rare mitochondrial disease which causes progressive physical & mental deterioration. She was then diagnosed with more problems in the years following including lupus and lymphoma and has lived 2 years past expectancy for someone with her diagnosis. Despite currently being on weekly chemotherapy, 51 year old Kim has not stopped running or living her life. She founded We Finish Together in 2012 after a friend who ran a race that Kim was too sick to travel to gave her a medal. The positivity from the medal shared by herself and others inspired her to start this organization. 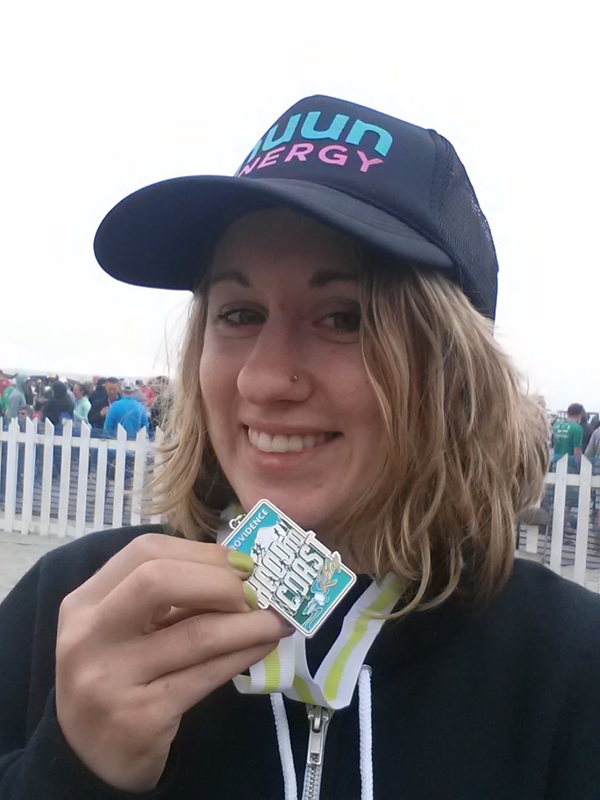 She donated the medal to her husband and has continued living life and running. I unexpectedly met Kim after the Annapolis Running Classic this past weekend. A friend had said she had seen her running on the course, and we happened to bump into her and her husband in the post-race party tent. We went up to her and she pointed out all of our November Project grassroots gear and gave us all hugs after we took a bunch of photos together. After meeting her, the first line of the article "Kim Stemple didn't want this story to be about her" became apparently obvious. We all told her how inspiring she was and she shushed us and kept saying it wasn't about her. She said she wants to "create a spark". It's all about her message and living life to the fullest. She was so happy, funny, positive and full of life. Thanksgiving is always a time for gratitude. It's a time for reflection on family, health, love, and all the blessings in my life. In my day to day life I usually try my best to stay positive, be kind, and chase happiness. 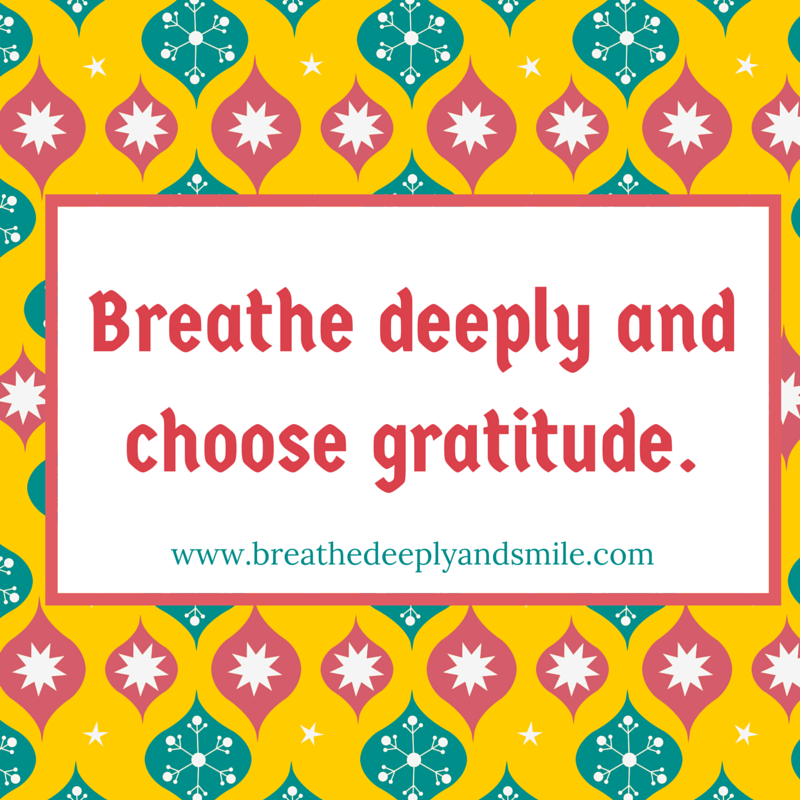 With all of the seriously effed up things going on in the world, when there is so much uncertainty and things can change in an instant, it is important to make each and every day count. It's cheesy, but it's true. At the post-race party Saturday, Kim said we are all going to die, it's a fact of life. I don't care what she says, but the way that she lives her life inspires me. I gathered a few medals to donate to We Finish Together (you can mail them in!) and have been taking the time to reflect on trying to make the most of my days and encourage you to do the same this Thanksgiving. You can follow We Finish Together on Facebook,Instagram , or check out their website. I'm sure if she reads this she'll remind everyone that's it's not about her. I just want to spread her message and help create more sparks in people. Think about what positivity and love you can spread in this world. I'm so grateful for the opportunity to briefly meet Kim and be reminded that every one's days on this earth are numbered. Never lose sight of actually living in the here & now instead of taking things for granted and putting your life off. What are you grateful for this Thanksgiving? Disclosure: I was sent the OGX Argan Oil shampoo in connection with my partnership with Women's Health as a Women's Health Action Hero. 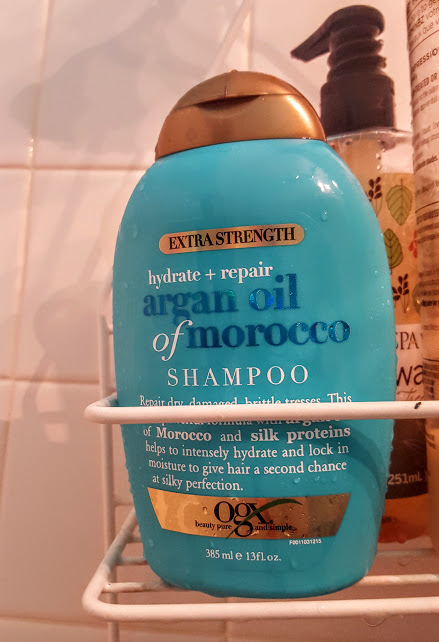 All other products were purchased on my own. No compensation was received for any mentions and as always, all thoughts and opinions are my own. 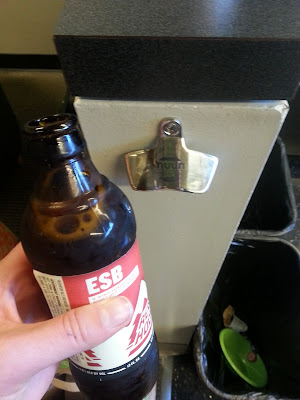 It's been too long since I've shared my Friday Favorites! Obviously school, racing, travel, and life has made me crazy busy, but I'm trying to get back into a more normal routine. Today is a rest day that started off with donuts and coffee for breakfast so I can't really complain! Today I am sharing some of my favorite things from the week with you. 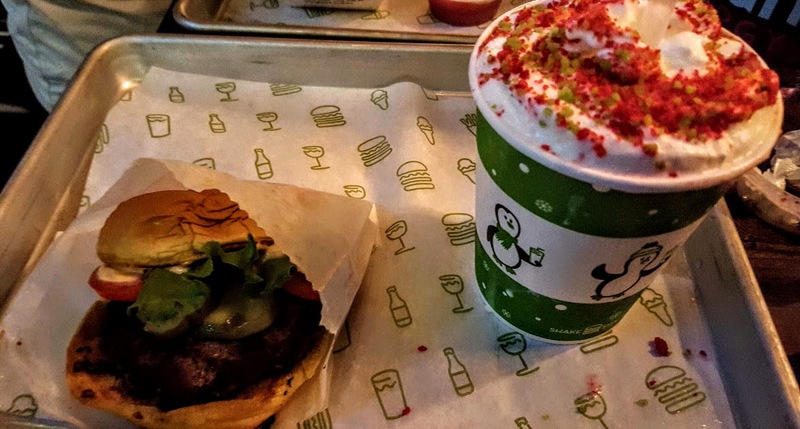 Run don't walk to Shake Shack and try one of their new holiday milkshake flavors if you are looking for a treat. Or you can spin and then run over like I did last night. There was a special Shack Track and Field in partnership with Rev Cycle Studio last night that involved an awesome 45 minute spin class followed by a 2 mile run over to Shake Shack where I grabbed my free milkshake and purchased a burger for dinner because balance. Sarah and I both got this Christmas Cookie milkshake and OMG IT WAS DELICIOUS. It literally tasted like a sugar cookie and was covered in whipped cream and red and green sprinkles. Amazing and definitely the highlight of my day. When I was contacted by Sunwarrior to try their products I immediately said yes. There are so many protein powders and natural products out there and while I've reviewed a few, there are always new things I see in store. I love trying samplers or starter packs because I can see if I like the product's benefits and flavor before dropping my money on a full-size product. I am familiar with Sunwarrior and have actually bought a sample pack from Whole Foods of a few of their protein powders because I like that they are raw, plant-based proteins which are great for post-run smoothies. I was sent the Sunwarrior Starter Pack with included a lovely blue Blender Bottle (you can never have too many!) along with some of their proteins and superfood formulas including the Warrior Blend Protein (in Chocolate and Vanilla), Classic Protein (in Chocolate and Vanilla), Supergreens (in Natural and Peppermint), Liquid Light, and Immune Shield. All of the supplements are packed with vitamins and antioxidants. You can read more on the website The Liquid Light is a product for hydration, nutrient transportation and more. Supergreens is packed with probiotics and cholorphyll. The Immune Shield is perfect as we enter flu season! The Sunwarrior supplements obviously tasted more earthly, especially the Supergreens which did taste a bit like grass which is expected. I liked the Immune Shield as a super boost for my body when I was feeling a little run down last week. You can grab your own Sunwarrior Starter Pack for only $19.99 on the Sunwarrior website. UPDATE: I just heard from Sunwarrior that they are selling a special All Protein Starter Pack as part of a Black Friday special. It will have sample packets of Classic, Classic Plus, and Warrior Blend proteins in both chocolate and vanilla (6 packets total) for only $9.99. It's the perfect opportunity to sample Sunwarrior protein powders! I love that Sunwarrior offers a variety of high quality products. Taste-wise I could tell the protein powder wasn't a regular whey powder, but the flavors tasted good-I liked the chocolate better than the vanilla. When I mixed both protein powders with almondmilk on 2 separate occasions in the blender bottle, it mixed in well and left me with a smooth shake. I think the Sunwarrior products are definitely something you should check out if you are looking for a specific all-natural supplement. Between school and work I really need to keep easy snacks around that I can grab on the go. I've been making batches of protein bites to have in my fridge because they are portable and delicious. Since we are getting close to the holidays (even though I can't believe it!) 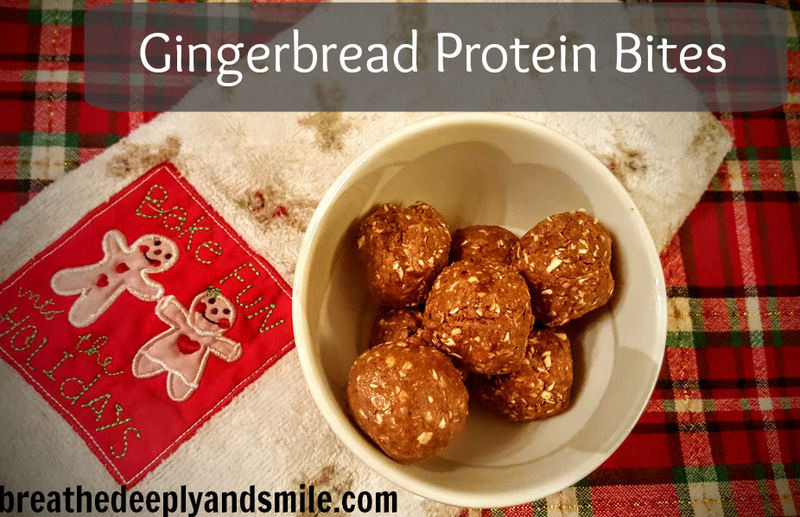 I decided to use my Sunwarrior protein powder to make a festive batch of Gingerbread Protein Bites. I really love the gingerbread flavor and the fact that they are not super supersweet. I'm not a huge peppermint mocha person around the holidays and much prefer flavors like gingerbread or sugar cookie. Check out the recipe below! Disclaimer: I received a free 3-pack Tourpass through my Rock ‘n’ Blog ambassadorship. As always, all thoughts & opinions are my own. It's no secret that I love Philadelphia and love racing there. 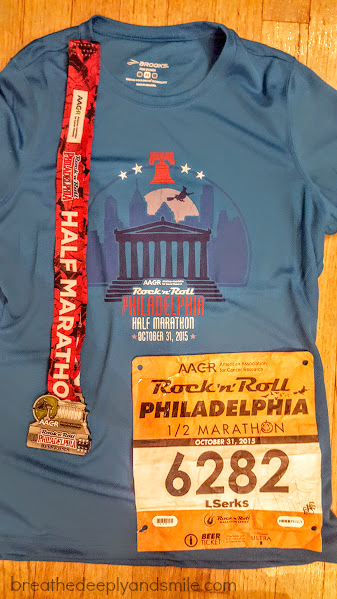 I was excited when the date for the Philly Rock 'n' Roll Half Marathon finally got sorted out (the pope's visit caused some scheduling issues with the city) and could register thanks to my Rock 'n' Roll Tourpass School made scheduling things a bit of a mess later in this year so I was glad to be able to use this perk of being a Rock 'n' Blogger. 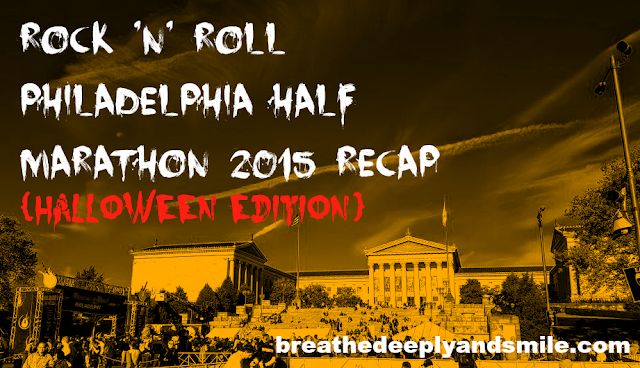 It was also a really special race because the Rock 'n' Roll Philadelphia Half Marathon was my first half marathon ever. It was pretty surreal running it again 3 years, countless miles, and many awesome running adventures later. I had a really great race which was especially ehanced by the fact that I had VIP access for this race. I'll review just the VIP package perks for the race separately after this race recap. I stopped by the expo Friday afternoon down at the Convention Center. It was easy enough to get to and the big Rock 'n' Roll expos are always fun to shop around in. It was an extra fun because the race was actually on Halloween morning so there was some spooky decorations and bowls of candy when I picked up my bib. Brooks Running is the gear sponsor and always has such cute race gear for sale, but I tried to restrain myself from dropping more money. It was around the time that people started to get out of work so the expo was busy. I grabbed a pair of running capris on sale (plus a coupon!) at the Sports Authority booth and made sure to stop at the VIP table to grab my wristband that I needed to get into the VIP area on race day. Of course I sampled all of the snacks and looked at more running gear I don't need. Honda had a fun interactive area where you sat in 3 different vehicles for three different activities for a chance to win an all-expense paid trip with friends to a Rock 'n' Roll race. There was a fun photo booth car where they actually emailed you a little gif. 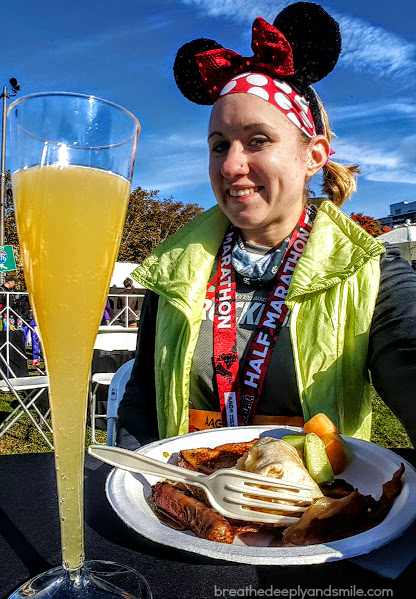 I didn't have any expectations for the race, especially since it was only 3 weeks after the Chicago Marathon and my running had been on the lighter side. I got up earlyyyy running on not that much sleep, to make it into the city from NJ. It was fun taking the train in on a cold, dark morning and seeing who was wearing costumes. A guy dressed up as the running Forrest Gump sat next to me-he had no idea how running 13.1 miles in a pair of khakis was going to be! 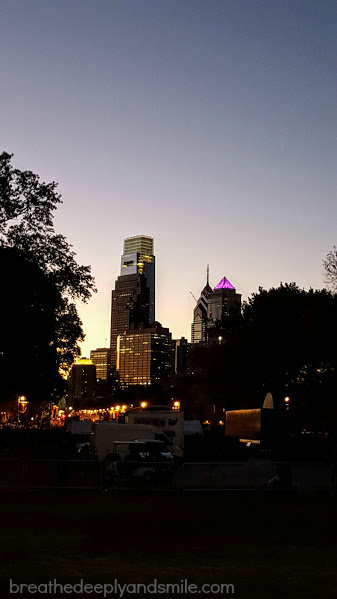 Once I got the race start area by the Philadelphia Museum of Art I walked up to the VIP area which was near the finish line. It was awesome because I got to grab a pre-race bagel from the continental breakfast and use the VIP port-a-potties (I literally waited only a few minutes!). I also loved having the small VIP gear check right there so I said hi to Cynthia and waited until I had about 5 minutes to get into my corral. It was a pretty chilly morning, but I was just glad it wasn't raining or anything like the DC half marathon earlier this year. Corral 6 was farther up so I had to speedwalk to get up there but eventually made it into the corral. It was exciting to hear the elites start because many were trying for Olympic qualifying races! I was a modified Minnie Mouse because temps were pretty cold plus I wanted to sport my Rock 'n' blog tee. I also really loved my matching Bondiband and Rock City Skirts sparkly skirt which went perfectly with my Minnie Mouse ears. I was worried the ears would bother me, but they stayed put and didn't move around at all. My favorite part about the race was seeing all the costumes people were running in. I saw animals, Star Wars characters, Disney princesses, and superheroes out on the course. My plan was to see how my legs feel and keep it around an 8:00 min/mile pace. I know I say this often, but I really just wanted to have fun. I felt pretty great for the first 6 miles and warmed up quickly. 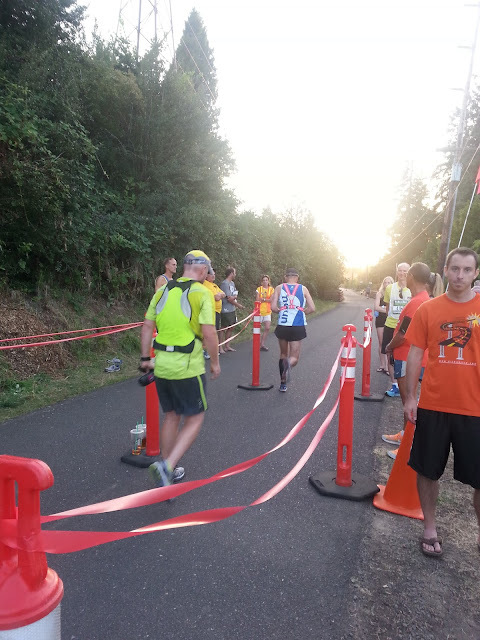 It's a flat and fast course which makes for great PRs. I had a weird twinge in my right calf all week so I had some KT tape on it, but luckily it wasn't bothering me. 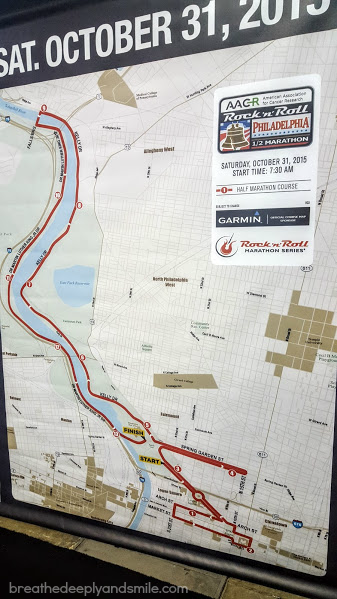 The race starts on the Ben Franklin Parkway and has you run through Fairmount Park on the right side of the Schuylkill River. Around Mile 8 once you get through parts of Fairmount Park there is a turnaround near over the Falls Bridge which has you running back towards the Art Museum on MLK Drive on the other side of the river. I was starting to feel a little tired but finished off my bottle of Nuun that I carried and ate half of a salted watermelon Gu packet. 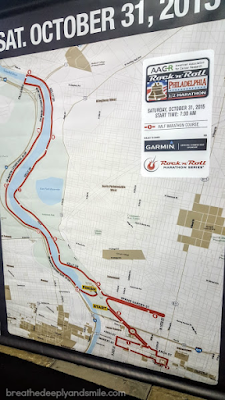 The only thing about Philadelphia races is that most of them include those long, straight stretches along the river which can be boring or bad for your mind games. There was only a few bands on the course which seemed typical for the Rock 'n' Roll races. I always bring my iPod so it wasn't a big deal. There were some a couple groups like a school and cheer squad out there, which was awesome since it being a chilly Halloween morning. Mentally miles 8-10 were tough, which is typical for half marathons for me. Once I hit mile 10 I knew I didn't have much longer. I was running close to a 7:45 pace during the race, which felt comfortable. 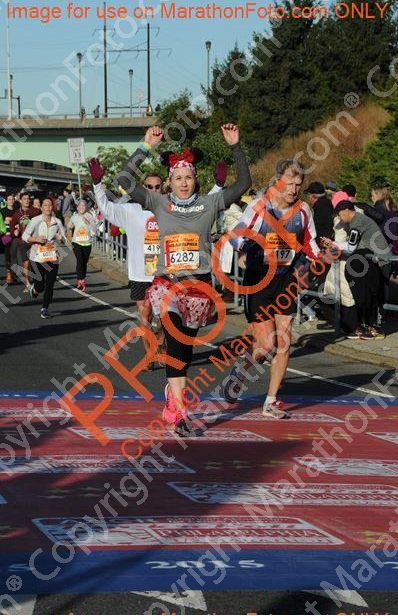 I kept telling myself that 3 weeks ago I ran freaking 26.2 miles so I could definitely finish half of that. It's definitely when I needed to find my jams to bop along to as I ran. I felt strong finishing and definitely pushed it that last 1.2 miles, finishing in 1:41:48. I'm always happy with a top 10% finish and had a better race than I expected! I was hungry and knew I'd finally be able to have some food! 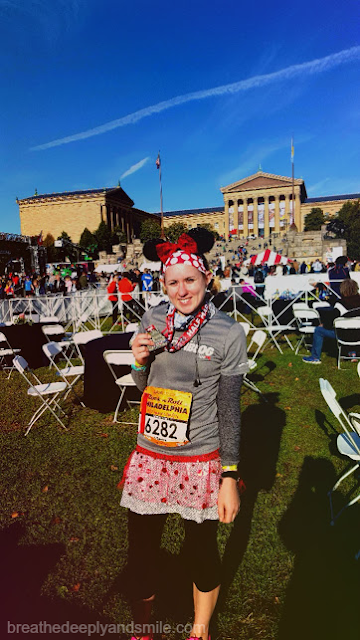 You finish right in front of the Art Museum and the infamous Rocky steps. The announcer for the race did a great job and called out names and some different facts about some of the finishers. It was easy to shuffle through the corral chute and there was plenty of food. The only thing I wanted was a bag to hold all of my snacks in because that was annoying. 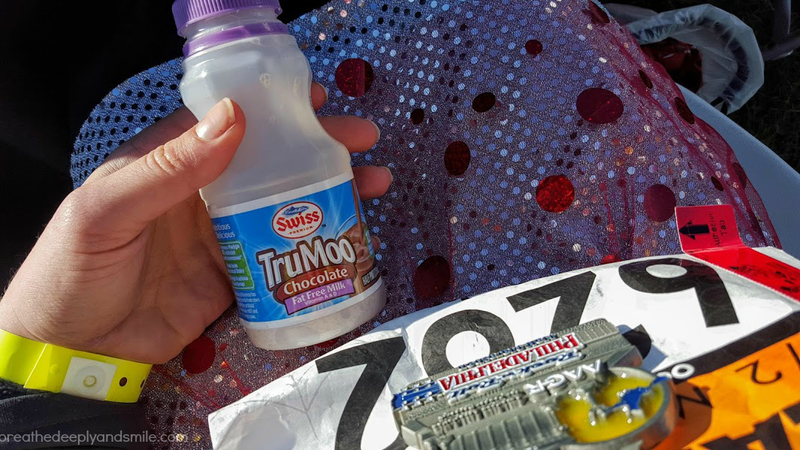 I drank some chocolate milk as I walked to the VIP area again, which was not very long because it was right at the finish. 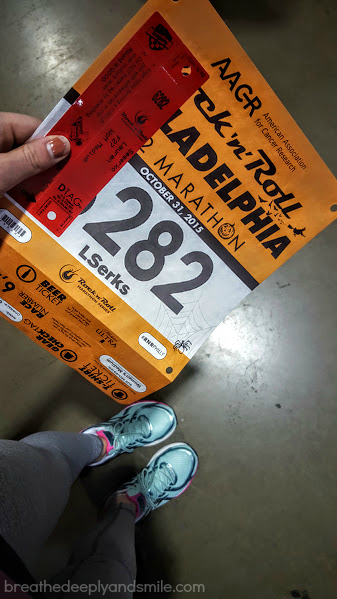 Not too many runners were there yet so I immediately signed up for 10 minute massage (shout-out to Phila Massages-you rock!). My calves were really tight so it felt great to get them loosened up immediately after the race. Afterwards I indulged in a mimosa (or 3) and a plate of hot breakfast food from the buffet, followed by multiple cups of coffee. Gin Blossoms were the concert after the race, and I got to catch a few of their songs, which was fun. I enjoyed hanging out in the VIP area before taking the VIP shuttle back to the host hotel with Cynthia before heading out of the city. This race was an awesome start to my Halloween and is still one that will always be near and dear to my heart. I love how organized the event is and how it's such a great course. The medal and shirt are always fun-I especially loved how the medal is Halloween themed with a little witch on a broom. I think it's a great race to run with friends or if you are looking for a fast, flat course to get a new half marathon PR on! This post was linked up with Tuesdays on the Run. 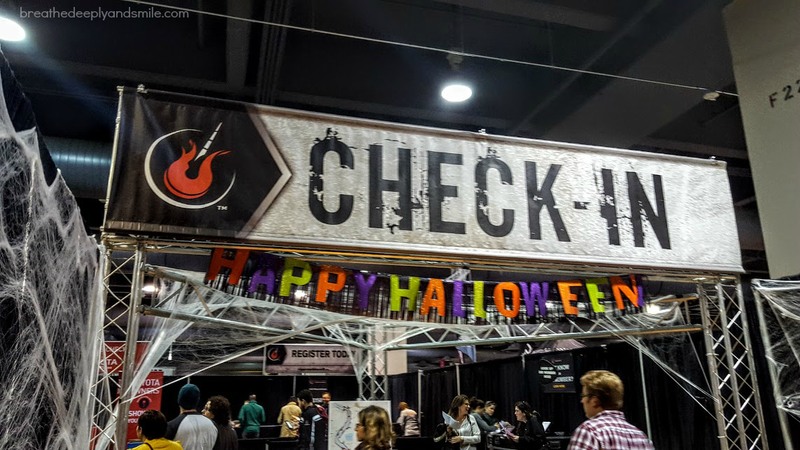 Did you run any Halloween races? 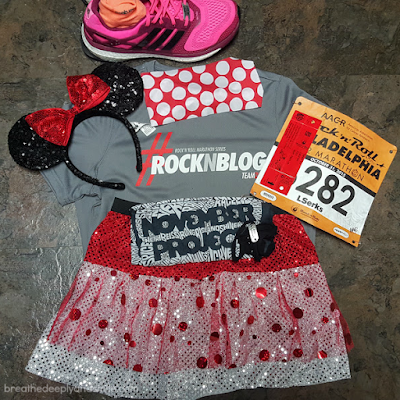 Have you ever run in costume? 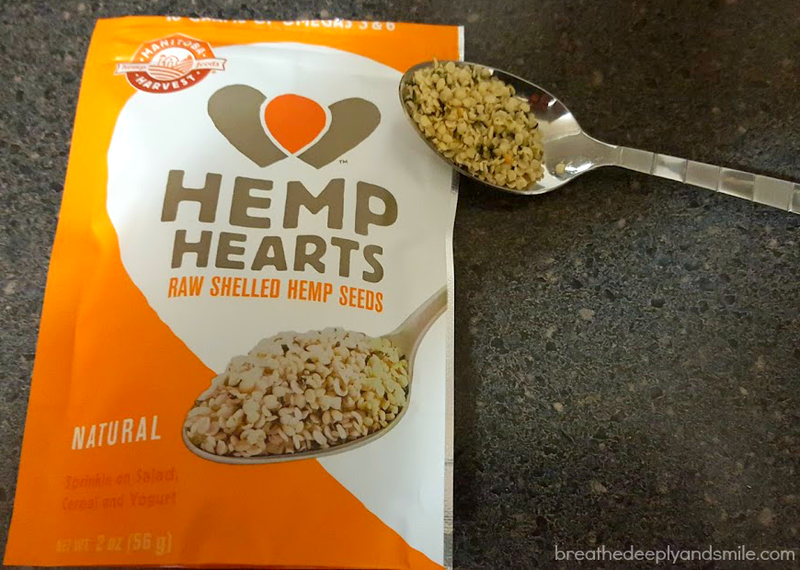 Remember that you have until Sunday 11/15/15 to enter my Manitoba Harvest Hemp Hearts giveaway! The running company formerly known as Gametiime has now launched as FitFam, and I’m super happy to be an ambassador for them. It’s still the same people with a different website. You can read more of the launch information here, but pretty much FitFam will still be hosting virtual race events. You will also still have the awesome social search directory of races across the country to find races near you that Gametiime was known for. Honestly I am feeling a little overwhelmed at the moment and wasn’t even sure I wanted to apply to be a FitFam ambassador. Then I talked to one of the co-founders Jon, who shared with me how the FitFam brand wants to have these unique, authentic ambassadors from all different places across the country and in life. It’s a platform to inspire people of all ages and backgrounds to live healthy and active lives. I'm all for super positive running communities looking to inspire. I loved the sense of community and social connection so I’m really happy I’m a part of the community. With FitFam you can sign up for a virtual race online, have your packet & swag items sent to you, complete the race wherever & whenever you want, and submit your results online. You also can win prizes not only based on your race time, but also based on fun photo contests. I had the chance to be a part of one of these virtual races through a race benefiting Girls on the Run by Nuun called Run Ride Hydrate which was super fun. It’s awesome to race virtually with my fellow Nuun friends all across the country. 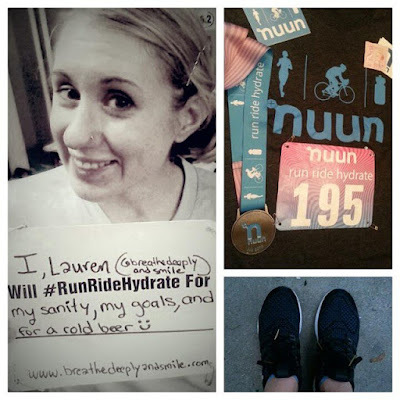 My Run Ride Hydrate virtual race bib and medal with Team Nuun! The virtual events have comparable entry fees but also people from all over the country to virtually run together and allows runners to see demographics from fellow runners in the event such as age, location, and gender. I obviously love running races and have run a few virtual races for the social aspect. 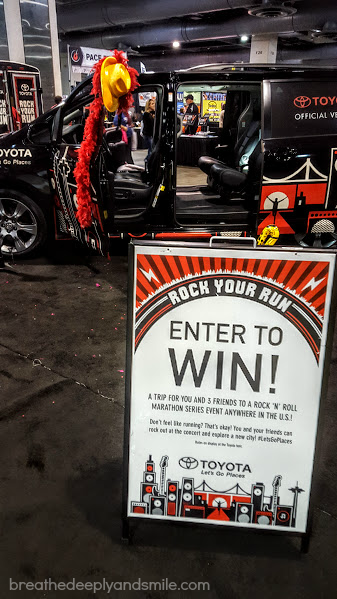 For others it can be a great opportunity to Besides being a fun race opportunity for runners, it’s also a great brand marketing tool for companies. FitFam launched yesterday and already announced their first virtual race, the FitFam Challenge which is the perfect way to kick off 2016! For only $35 you get entry into the virtual race as well as a finisher’s shirt and medal. How awesome is that, especially nowadays with the costs of races increasing. You can follow FitFam on Facebook, Twitter, and Instagram. Use and search the hashtags #FitFamLaunch and #movethemission for more FitFam fun! Have you ever done a virtual race? Disclaimer: This is a sponsored post with Mantioba Harvest through my association with Fit Approach. As always, all thoughts and opinions are my own. I was happy to recently receive a sample of Manitoba Harvest Hemp Hearts to try out through my partnership with Fit Approach as a Sweat Pink ambassador. I've had a few sample packs from various places before. Hemp is a plant and the plants grown in Western Canada are mostly used for hemp foods. Also I recently was reintroduced to making macrame hemp bracelets that girls made when I was younger (yet I had never mastered! )-that string comes from the hemp plant. The hard hemp seed is at the top of the plant and this is used to make Hemp Hearts, hemp protein powder, and hemp oil. It's a plant that has been around for centuries. No it will not get you feeling weird-read more about its misconceptions here. These raw shelled hemp seeds have a nutty texture and taste like sunflower seeds to me. Although they are small, they are packed with protein and omegas (10g of each per serving!) and are easy to sprinkle on anything from savory dishes, cereal and oatmeal, yogurt or salads. I mostly have used them at breakfast time in my oatmeal, cereal, and yogurt but decided to switch things up and try a recipe from Manitoba Harvest's website. 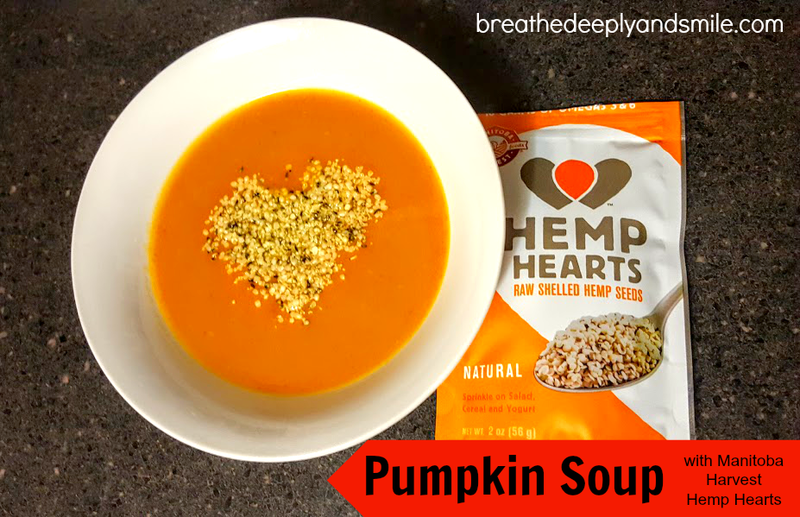 I made this seasonal Pumpkin Hemp Soup which was delicious! I happened to have some fresh pumpkin puree around from a roaster pumpkin which gave it lots of extra flavor. I had to substitute onions for shallots and used what milk I had on hand, but the recipe still turned out great. The soup is very creamy and flavorful. I loved adding extra hemp hearts on top for a little crunchiness. Disclosure: I was sent a complimentary Quick Pickle Kit to review. All thoughts and opinions are my own! 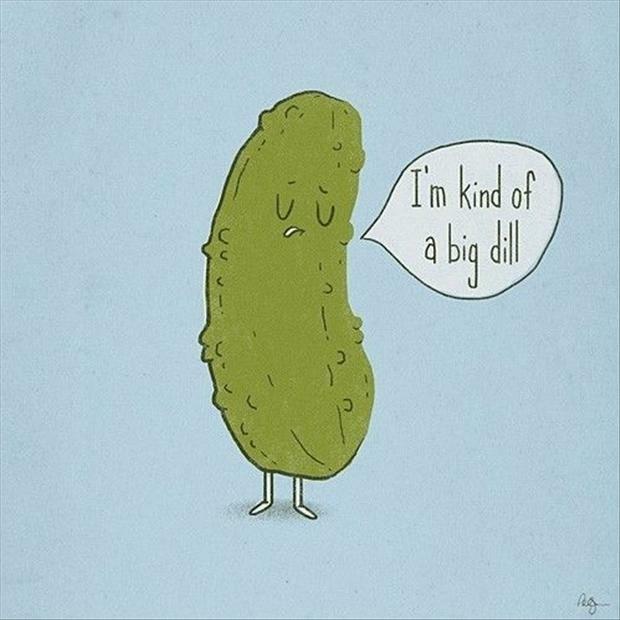 I think pickles are either a love 'em or hate 'em kinda food. I happen to think they are super delicious. I mostly eat them straight from the jar. There also was a time long ago that I once drank a cup of pickle juice because I heard it was good at replenishing salt and preventing cramps-if you can stomach it! While I love trying new kitchen gadgets and recipes, I also am really short on time. I was excited to have the opportunity to try the Connoisseur Creations' Quick Pickle Kit which is advertised as being a fast, simple, and all-natural way to make pickles that only takes 3 days. Yep, I can plan ahead 3 days in advance. The kit was simple (no assembly required!) and included a big glass jar, instruction & recipe booklet, and seasoning packets. 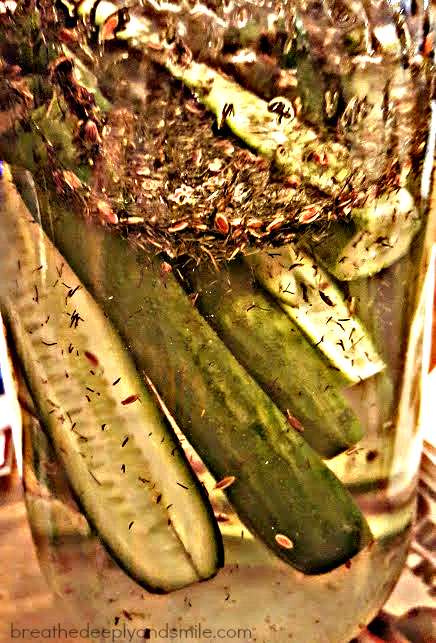 Since I'm a pickling novice, I decided to go with good old fashioned dill pickles. All I had to do was add some mini cucumbers I grabbed at the local farmer's market along with the dill spice packets included and some vinegar (I used plain white vinegar I had lying around) and put the kit together as the instructions said. It was easy and there were lots of helpful tips for pickling specific vegetables. After filling and sealing, the jar is heated for 75 minutes and then flipped to create a vacuum. It sat in my fridge for 3 days, and then it was time for the moment of truth! Success-they tasted delicious! 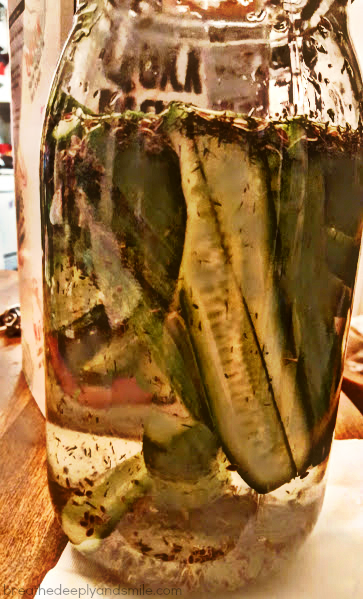 You also don't have to make cucumber pickles-you can pickle ANY vegetable! I've been seeing a lot of pickled vegetables on restaurant menus so I'me excited to experiment more. Now that my first experiment is under my belt, I need to try a different vegetable-I'm thinking beets. I wasn't paid to talk about pickles, just sent a complimentary kit to spread the word and help this business grow (plus I really like pickles). You can purchase your own Quick Pickle Kit on Amazon (MRP $39.99) plus it's Prime eligible if you are an Amazon addict #idoitforthefreeshipping. You can also purchase extra spice packets on Amazon (each makes 3 batches of pickles) in Bread & Butter, Dill, and Sweet (MRP $19.99). It would make a great Christmas gift! 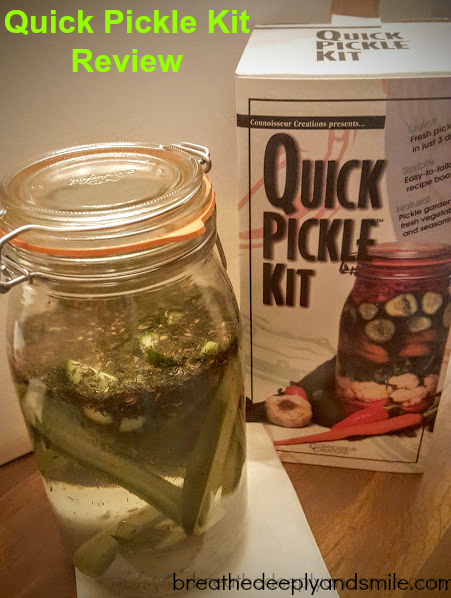 Be sure to follow Quick Pickle Kit on Facebook. November 14 is National Pickle Day, so it's the perfect time to make your own pickles! Do you like pickles and/or pickled vegetables? What's your favorite way to eat a pickle? 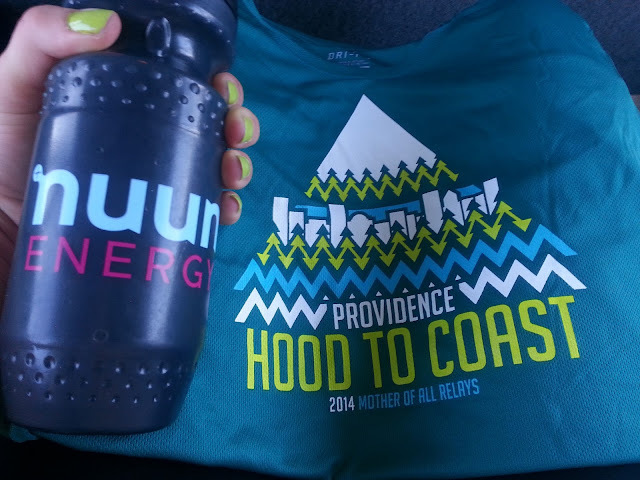 I know it's ridiculous that over a year later I'm processing some thoughts and sharing some moments from Hood to Coast 2014 with Nuun Hydration. 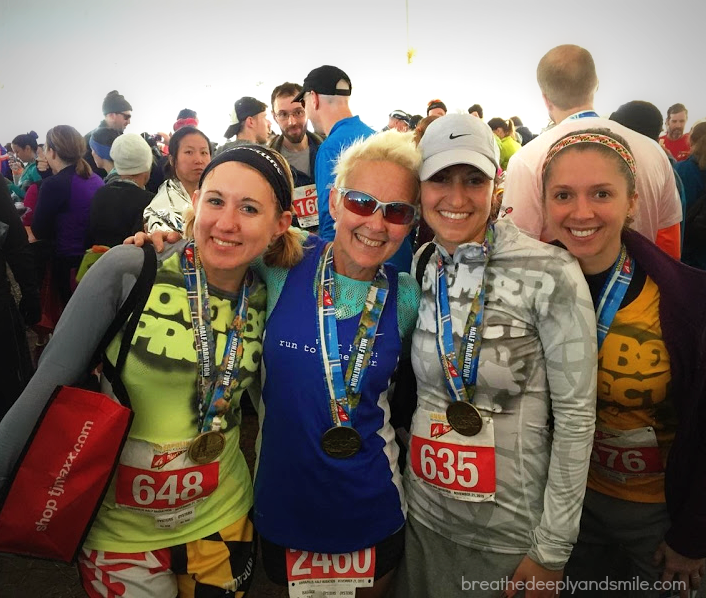 Last year I was busy in the midst of marathon training and only shared Part 1 & Part 2 of my recap. I never really figured out how to talk about the race itself and share how great of an experience it was so I just let it slide. It was hard and definitely not just like any other race recap I have on the blog-there was so much involved. Finally I have something to say because I'm excited to be having a similar opportunity this upcoming weekend. 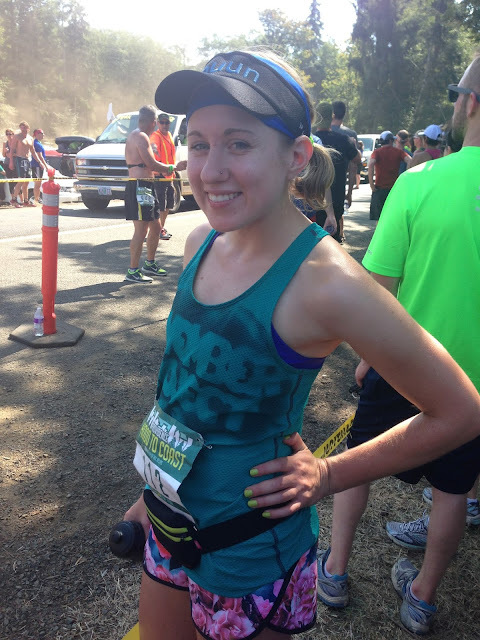 I also did a guest post a little bit ago on Run Far Girl about the best and worst of overnight relay races that is all based on my Hood to Coast experience. Well, I'm ridiculously excited to be running another overnight relay race with Nuun Hydration in less than a week. This time we're taking on Ragnar Las Vegas! I would be the person to go to Las Vegas for the first time ever for a race #crazyrunnerlady. It's gotten me thinking about Hood to Coast 2014 a lot so here's a kind of list of thoughts, moments and photos. Running late to the start in Leg 1 because of Seattle to Portland traffic and that anxiety of being the first person from my van to have to rush and run. It also didn't help that Lisa was the runner before me, and she's wicked fast. 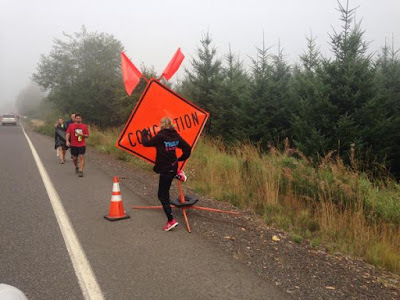 Running in rural Oregon with nothing but some vans and a few other runners was amazing. I ate countless peanut butter-filled pretzels. I couldn't control myself sitting next to a giant bag for 36 hours. Port-a-potty lines at a relay race are no joke. Getting maybe an hour of sleep and then being woken up after 3 AM to get ready to run on a dirt road past Portland in the pitch black of night was a unique experience. Compression socks are a relay race necessity. 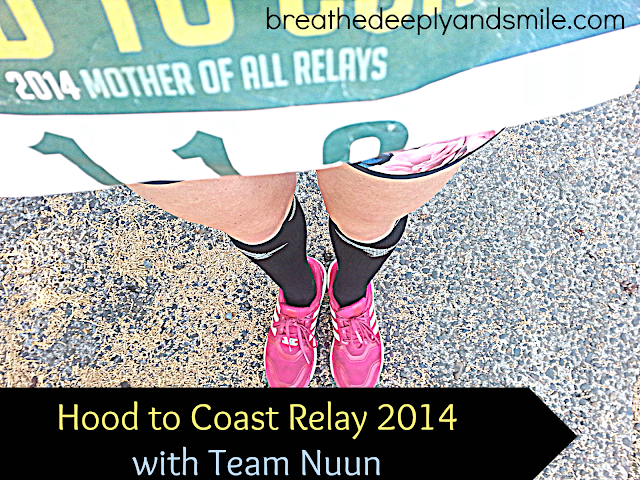 I loved these Pro Compression ones with the Nuun logo we were given! 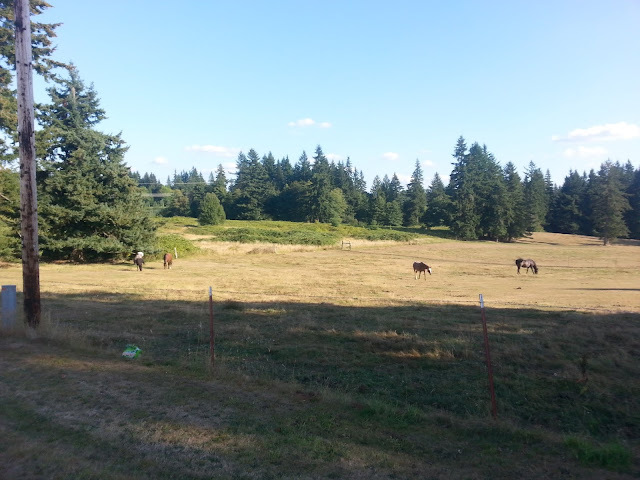 The pacific Northwest is beautiful. SO BEAUTIFUL. Why do I live so far from it?! I was in awe of all the amazing stories I heard from all my van-mates and all the Team Nuun runners. Frankly felt I didn't have much of a story to share. It's just a reminder that there must be more big adventures in store for me in this life. 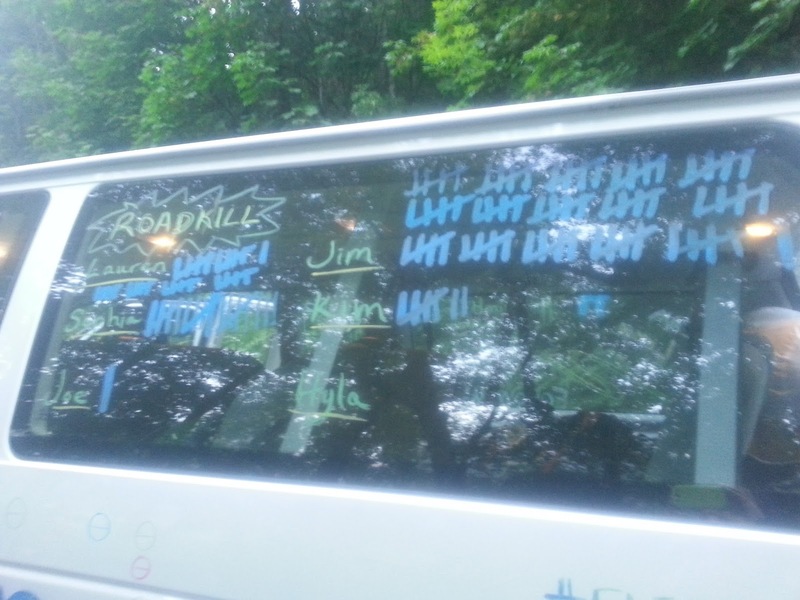 Counting roadkills (runners you pass). My new favorite running pastime. Eff serious traffic during a relay race in the middle of nowhere. Showing that sign who's boss. Always stay hydrated (Nuun is my drink of choice, obviously). Cheering on teammates as they come to the exchange points is so fun. Running up to really crowded ones with lots of excitement is also fun. Unless you can't find your teammate or your team hasn't made it there yet. Otherwise the energy is awesome! Finishing my last leg on a sunny afternoon like the badass that I am in super fast time and running one of my fastest miles ever thanks to the push from an African guy who lived in NYC who challenged me to keep up with him was awesome. 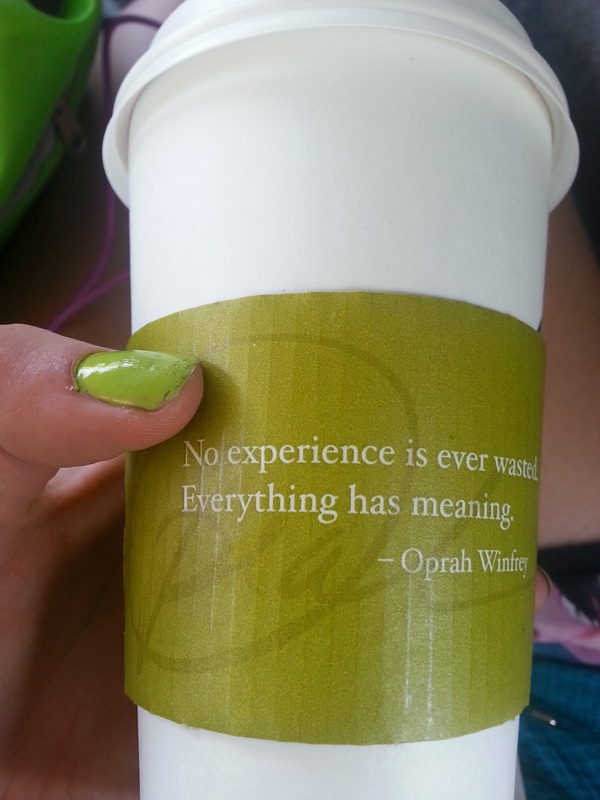 Starbucks tastes amazing after sitting in a van for 30 hours. Best chai latte that you've ever had, and me. Pizza and beer also tastes amazing after an overnight relay. 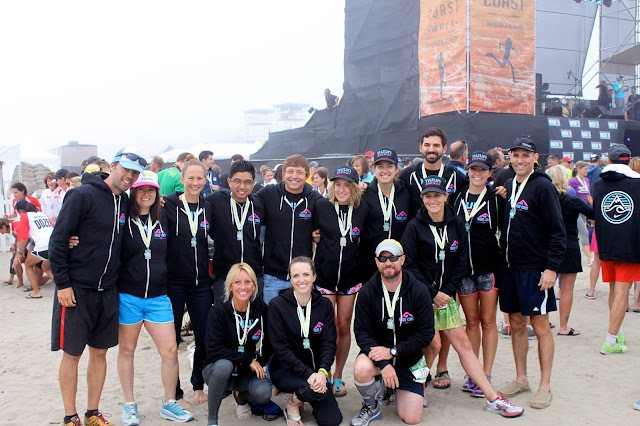 Even when it's foggy and cloudy on the beach at the finish line, runners know how to party. The medal could be a little bigger. The memories and that big run happy smile are worth more though. Post-relay race yoga is a must. 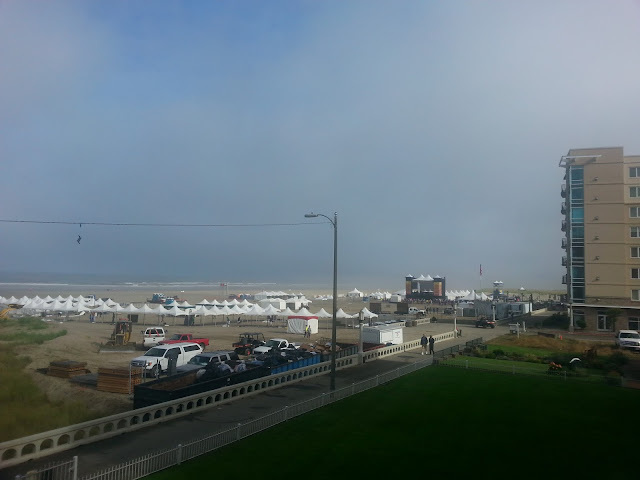 Waking up in Seaside, Oregon with this view is not awful. I'm pretty sure Nuun Lemon-Lime Energy Van 2 will be friends for life. It's easy to get to know somebody once you're all stuck in a van together for over 36 hours. Also Eric from the other Team Nuun team made this awesome video that captures some of the race in a few minutes. Check it out! Of course I watch the video after writing this and going through all my photos, and I'm getting all weepy. Also I'm SO EXCITED for a new experience in Las Vegas this weekend! This post was linked up with The Fit Dish & Weekend Snapshots. I believe in running happy, dreaming big, enjoying life, and never passing up dessert. I'm a: Charm City runner. Occupational Therapist. Foodie. Science nerd. Sweet tooth. Panda lover. Hippie at heart. Beer & whiskey enthusiast. Health & Fitness nut. © Lauren and Breathe Deeply and Smile, 2012-2019. Unauthorized use and/or duplication of this material without express and written permission from this blog’s author and/or owner is strictly prohibited. Excerpts and links may be used, provided that full and clear credit is given to Lauren and Breathe Deeply and Smile with appropriate and specific direction to the original content.